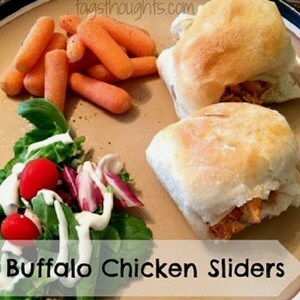 Do you need a quick family meal idea for practice night, soccer Saturday or Sunday funday? 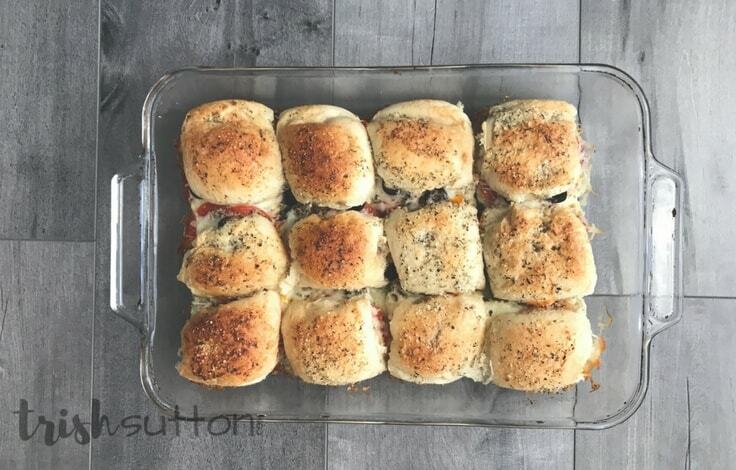 A warm pan of Pepperoni Pizza Sliders is the simple answer for busy weeknights and fun packed weekends. Hey Kenarry Readers! 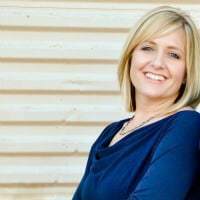 Trish here with another simple family recipe. 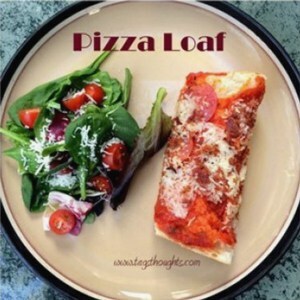 If you are anything like me meal planning for practice nights requires a quick and easy dinner. Of course, I like simple on the other weeknights and weekends too! 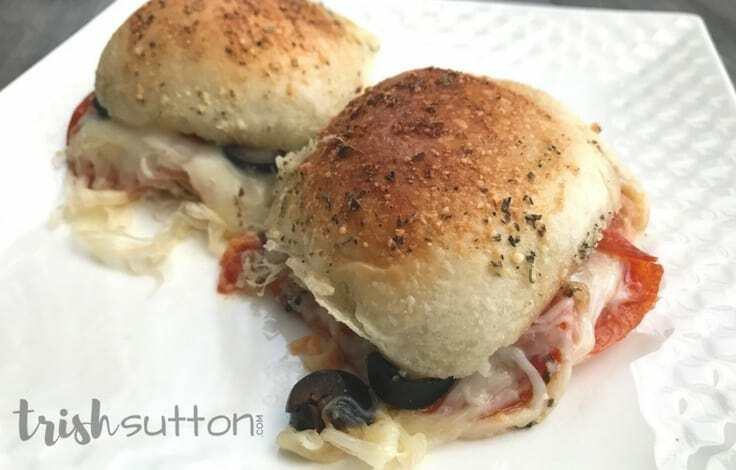 One of my favorite easy answers for every day is Pepperoni Pizza Sliders. There is something about the size of a slider that just seems to work for all ages. 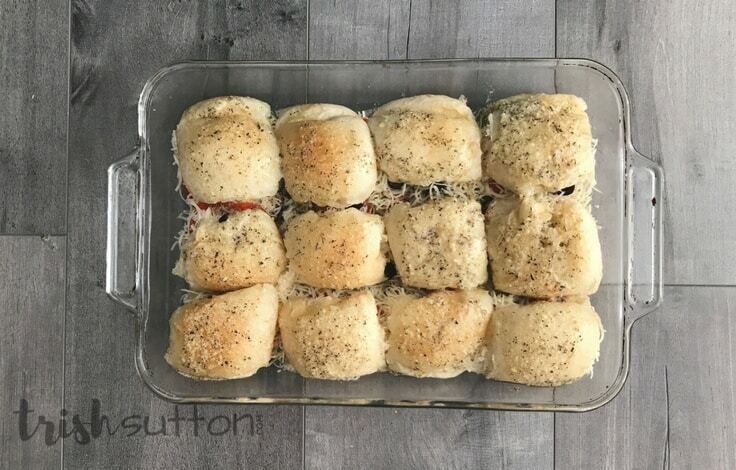 I prefer using the frozen rolls that need time to rise before baking them for my sliders however most supermarkets carry some form of pre-made slider rolls that work perfectly. 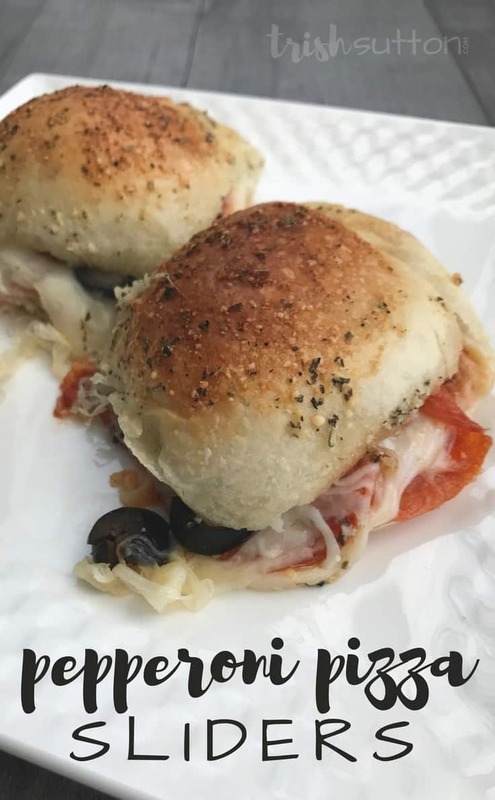 Be sure to plan ahead if your preference requires rise time then grab your favorite pizza toppings and bake up a warm pan of Pepperoni Pizza Sliders. Preheat oven to 375 degrees then prepare a 9×13 baking pan by spraying a light coat of cooking spray onto the bottom and sides of the pan. 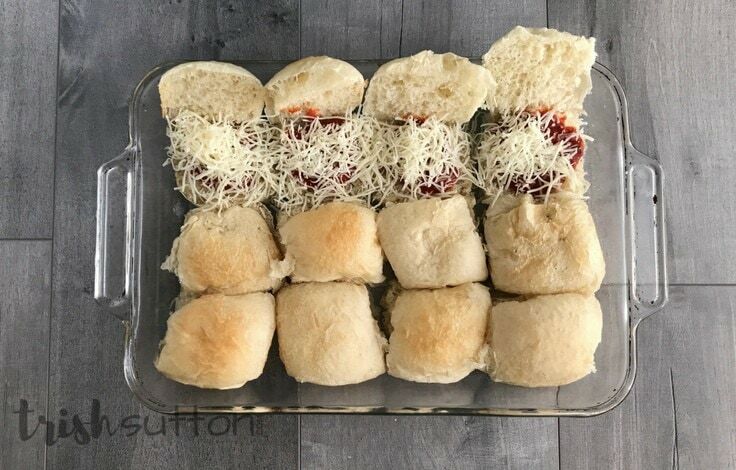 Slice rolls in half then place rolls in a single layer in the prepared pan. 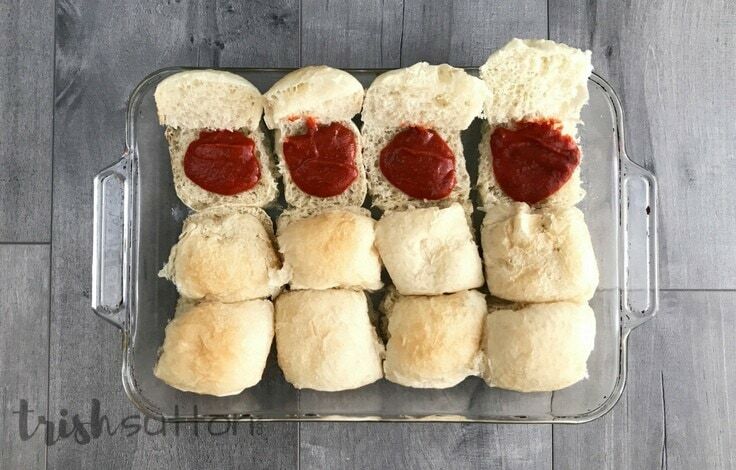 Add 1 tablespoon of pizza sauce to the inside of each roll. Sprinkle a layer of shredded mozzarella on the sauce. Next, add pepperoni slices and top them with a second layer of shredded mozzarella. 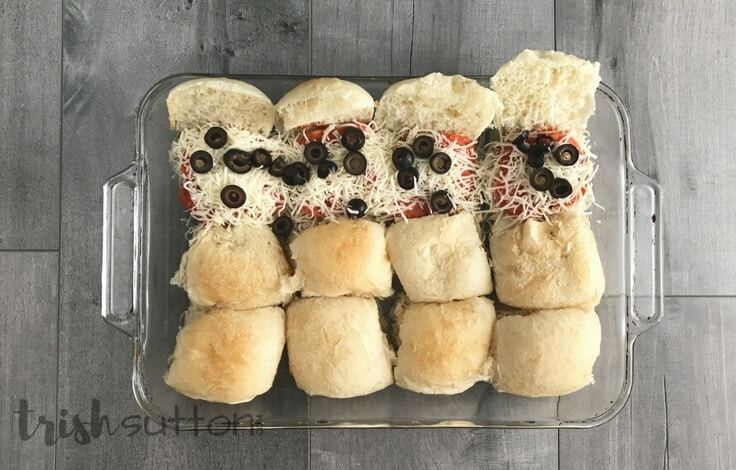 Add olives and any additional pizza toppings inside each roll then place the tops of the rolls back onto the sliders. Melt butter in microwave safe dish or mug. Add parmesan cheese, italian seasoning and garlic to the melted butter then whisk until well combined. 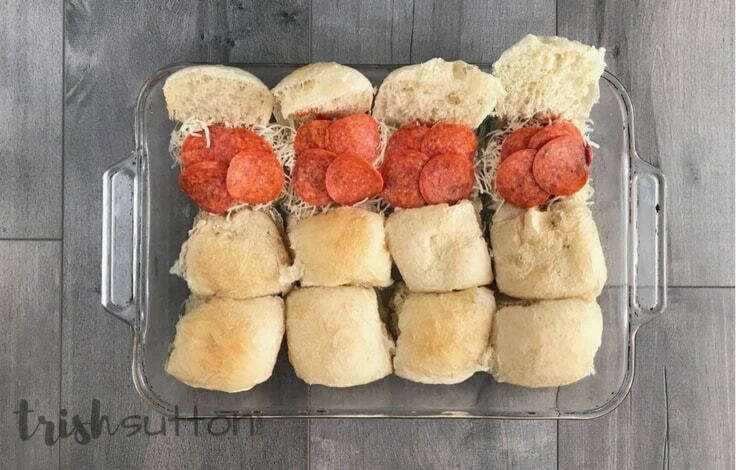 Brush the melted butter and seasons over the tops of the Pepperoni Pizza Sliders. Cover baking pan with aluminum foil then bake for 8 minutes. Remove the foil then continue baking for an additional 8 minutes or until the cheese is melted and the tops are golden. 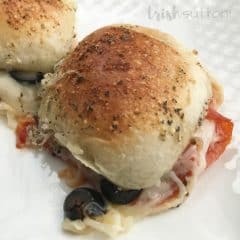 Add 1 tablespoon of pizza sauce to the inside of each roll. Sprinkle a layer of shredded mozzarella on the sauce. Next, add pepperoni slices and top them with a second layer of shredded mozzarella. Melt butter in microwave safe dish or mug. Add parmesan cheese, Italian seasoning and garlic powder to the melted butter then whisk until well combined. 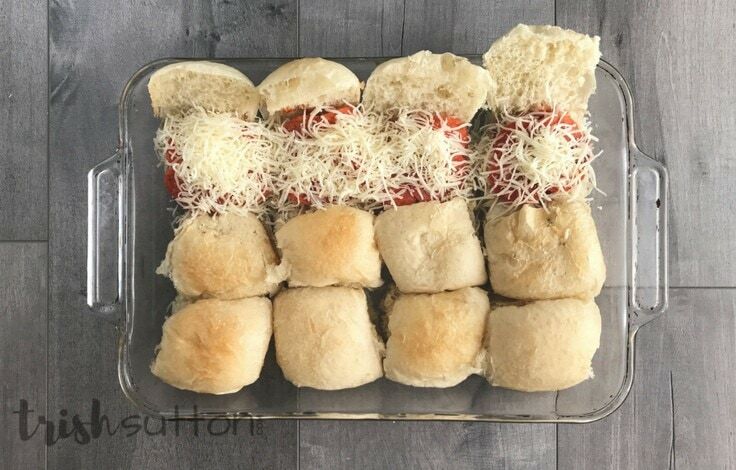 Brush the melted butter and seasons over the tops of the Pepperoni Pizza Sliders. Cover baking pan with aluminum foil then bake for 8 minutes. Remove the foil then continue baking for an additional 8 minutes or until the cheese is melted and the tops are golden. Serve warm. 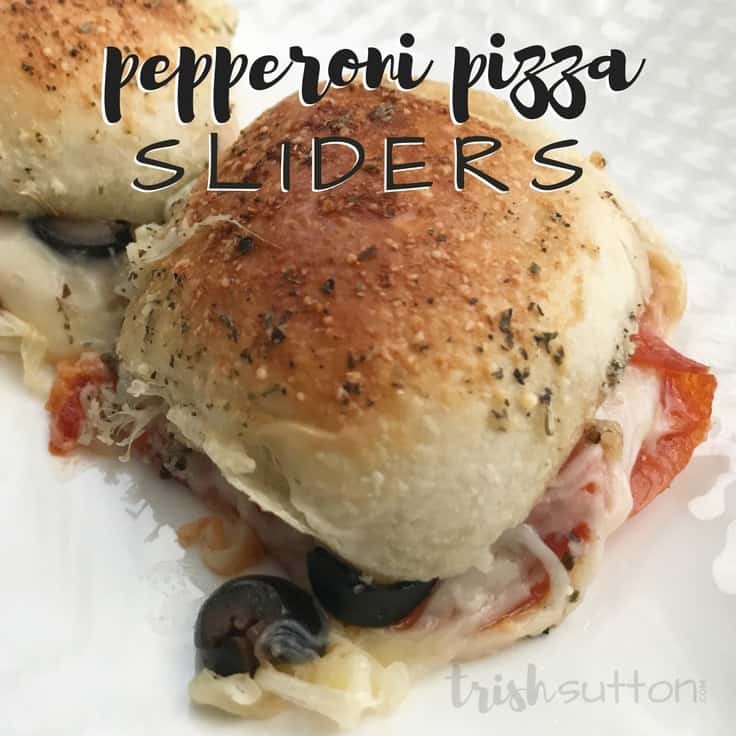 Whether you plan to enjoy these Pepperoni Pizza Sliders as a family meal or serve as party appetizer they will quickly disappear. If you are in need of additional party appetizer ideas I highly recommend the Jalapeño Popper Hash Brown Casserole Recipe I shared on Ideas for the Home by Kenarry™ last month. 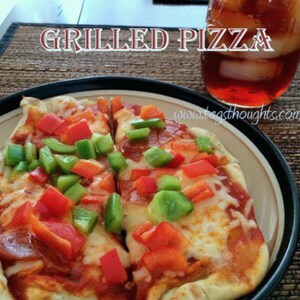 And for even more mouthwatering ideas visit my blog site, click on the recipes tab at the top of the page or simply search “appetizer”. And you’re sure to enjoy more Easy Dinner Recipes!